Although most ICF’s at that time were adequate, an ICF that could address the rigors of internal vibration was lacking in the growing industry. The available ICF’s recommended external vibration for the consolidation of the concrete, this caused significantly higher occurrences of voids causing structural problems and concerns. The innovative and patented Advantage Insulating Concrete Forming System was developed, with the design criteria that insisted on proven internal vibration methods currently being used in other concrete forming. User friendly interlock that kept the fastening strips aligned and project friendly dimensional changes heralded in the next generation of ICF’s. 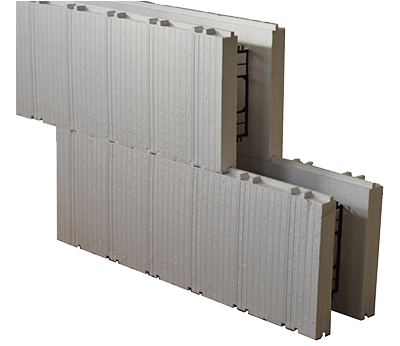 The Advantage Insulating Concrete Forming System then aligned with Plasti-Fab Ltd., part of the PFB Corporation, because of their unsurpassed expertise in Expanded Polystyrene (EPS) technology. Plasti-Fab’s experience in EPS product engineering, testing, manufacturing and distribution gave the Advantage Insulating Concrete Forming System the quality needed to succeed. Plasti-Fab Ltd. and Advantage Insulating Concrete Forms formally merged in 2003. 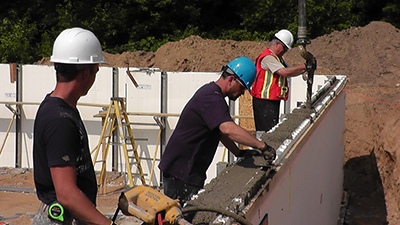 Now into its second decade of proven success, Advantage Insulating Concrete Forms have been used extensively in the residential, commercial and industrial construction throughout North America. 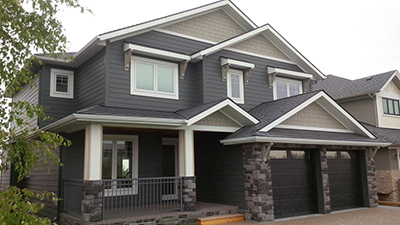 Plasti-Fab prides itself on delivering product that meets end user customer specifications. In order to ensure consistency of product, our facilities adhere to stringent manufacturing process controls based on a Quality Management System and third party certification of insulation products. Our professionals apply rigid quality control and testing procedures to assure conformance with customer specifications. Service means delivery of product when the customers need it. The Plasti-Fab commitment in this area and proven track record of meeting these needs has developed into long-term relationships with many customers. Our national presence enables us to provide our customers with local market knowledge, expertise and superior customer service. Recognized as leading experts in our industry, we meet our customers' requirements through product research and development. We deliver product innovation through understanding our customers' needs. We back our product performance with ongoing research and testing. We pride ourselves on maintaining a consistent link between product performance knowledge and product application knowledge.